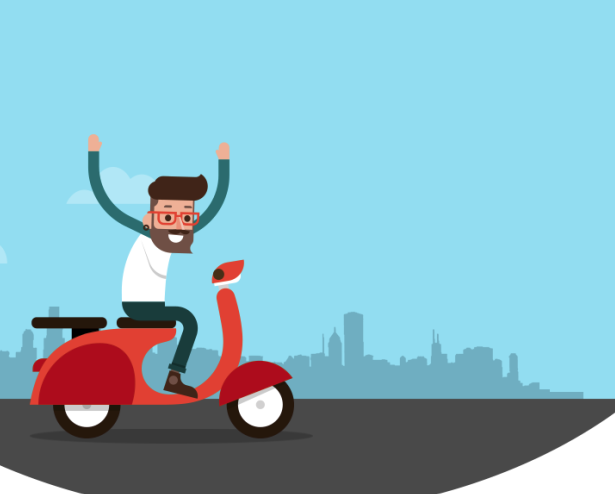 5 Tips to Insuring your Two-Wheeler - Voices In Finance – Latest news on financial planning from professionals. Poorly executed traffic rules and the wide availability of potholes and bumps can lead to the downfall of even a skilled rider. Regardless of how well you know to ride a bike, having two-wheeler insurance is imperative. Here are a few tips to keep in mind when insuring your vehicle. While a comprehensive policy takes into account the damage and destruction caused to your own vehicle as well as that of a third party, a third party two-wheeler insurance policy covers injury and death caused to the third party only. You need to choose between the two wisely. Sometimes, an insurance policy does not cover everything you want it to. In this case, if you need further coverage, you can choose an add-on cover that protects you and your two-wheeler in a better way. This bonus is an incentive to promote safe driving. If you have not made a claim in the course of that particular year, you get a discount on your premium known as the no claims bonus. You can get up to 50% discount for consecutive claim free years. The engine capacity, city of registration and model of the bike all affect the premium rate. Generally, higher the engine capacity, higher the premium rate. Premiums are lower on third party policies since coverage is restricted. See that you compare two-wheeler insurance policy well before purchasing. You can buy bike insurance online too. You just have to make sure your vehicle covers all the important aspects. Your two-wheeler insurance needs to cover man made as well as natural calamities. It also needs to safeguard your legal interests and should come with a personal accident cover. These tips are sure to make owning and riding a two-wheeler convenient and hassle-free.